Sean McCabe’s new book Overlap surprised me. When I picked it up, I expected a fluff sandwich. That’s not a statement about Sean, the quality of his thinking and writing, or his authority in the online business space. To be honest, I didn’t know Sean or the seanwes brand well before Overlap popped up on my radar. It’s just that I have read so many books the “business lite” category, and more often than not, the author could have communicated the core message—a single idea that changed the author’s life—in 20 pages instead of 200. Even if the other 180 pages contain well-told stories, convincing case studies, and the requisite helping of research, factoids, and trivia, you can read only the Introduction and Conclusion and miss very little. I get it. You don’t get a book deal with a 20-page manuscript, so authors must produce the rest of the manuscript like a rabbit from a hat. This fluff sandwich format—Introduction, fluff, Conclusion—may actually be helpful. I haven’t read any research, but human beings do benefit from repetition. In order to absorb certain lessons, we must learn them again and again. With that said, thousands of classics already line the physical and digital shelves, and hundreds more worthwhile reads hit them each year. We must invest our reading time wisely. Overlap is not a fluff sandwich. 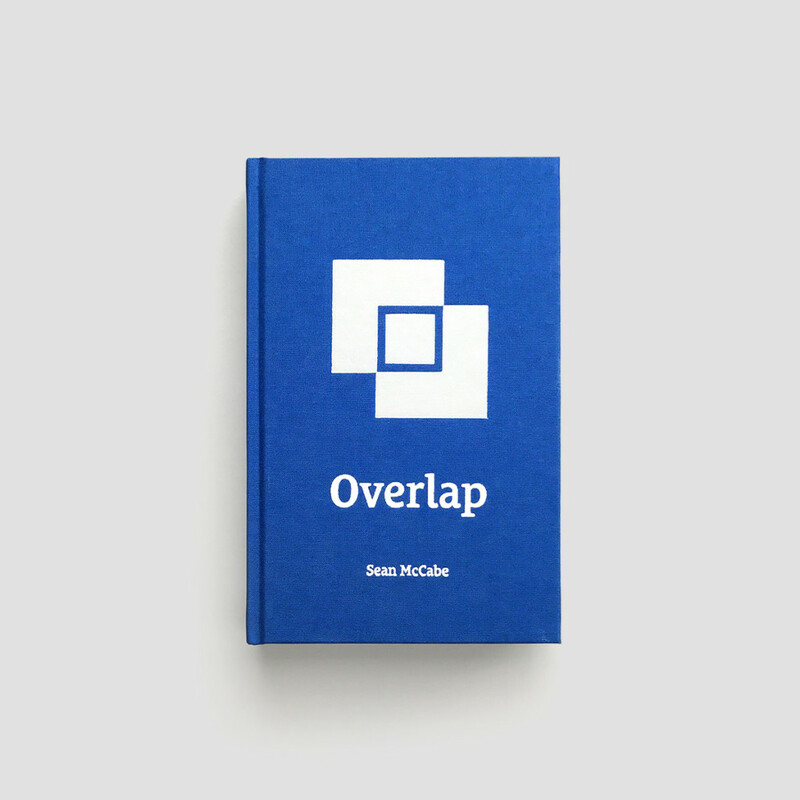 Let me repeat, Sean McCabe’s new book Overlap surprised me, and I recommend that you buy and read it (affiliate link). McCabe has a knack for producing hard, practical observations. The book is a bag of gems, and despite what you may intuit from the subtitle, “Start a Business While Working a Full-Time Job,” Overlap is as much a primer on healthy habits as it is a manual for starting your side hustle. As a recovering perfectionist, I love me some habits. I love taking control, and I love people who will give it to me straight. We all need friends and mentors who strip us of our excuses. Read Overlap if you’re still trying to gain clarity around your passion. But what if you don’t know what you want to do? What if you haven’t yet grabbed your one enduring, all-consuming passion by the tail? Or what if you have more than one? That’s where Overlap really shines. Sean makes a strong case that you should start before you have perfect clarity. The discovery of the work you will find most fulfilling is a process, a process of elimination even, and as such, the sooner you kickstart the process, the sooner you’ll zero in on your passion. Last year I wrote a post called “Screw Your Passion. Get a Job.” It highlights a common problem, especially among Millennials: Afraid of committing to the wrong thing or missing out on a better thing, we don’t commit to anything. But Sean McCade doesn’t just tell you what to do; he tells you how to do it. You will find actionable advice on every page. Respect for your work starts with you. If people keep interrupting you while you’re working on your side hustle, you are not the victim. Rather, you have not communicated clearly what you’re about and worked toward alignment with your partner and children, family and friends. Get a day job that doesn’t cannibalize your creative energy. I love that McCabe strongly recommends a day job—at least in the early years. At the same time he advises against trying to find overlap between your day job and your passion: “If you spend the same kind of energy at your day job, you become more invested, even though the freedom is not there.” (68) Also, beware of “golden handcuffs.” Unforeseen or undesired successes can shackle us to a job or position we ultimately want to leave. • Show up when it hurts. • Show up when you’re tired. • Show up when you’re not feeling it. • Show up when it’s early. • Show up when it’s late. • Show up when everyone else is giving up. • Show up when it’s the first day. Do you notice how ordinary all of those takeaways are? Imagine the best possible grandpa, the archetype of all grandpas. He’s got a pipe in his mouth. He’s got on a flannel shirt that he’s owned for years—“If it ain’t broke, don’t fix it”—and he’s helping you fix your car. As you work side by side, he asks you questions about your life and work, and as he listens, patiently, to your meandering answers, he asks questions and makes observations. His words have the weight of wisdom that isn’t trying to impress anymore than a screwdriver or wrench tries to impress. Sounds like you may need to get up early. Just keep showing up. The rest will take care of itself. Grandpas have done a lot of life, and they have seen the fads come and go. Through the sifting of the decades, they observed what habits and attitudes stood the test of time, what worked and what didn’t. Grandpas are bags of gems. Grandpas know nothing about growth hacking. Isn’t that why we trust their advice? Sean McCabe is still relatively young, so comparing Overlap to a grandpa might seem odd. Forget about the grandpa, and remember this instead: Sean McCabe’s advice seems old, which is to say timeless. Maybe your product does go viral on Product Hunt. Maybe your YouTube video does get 1,000,000 plays in 24 hours. Maybe you do leverage growth hacking. Maybe you become a true overnight success. What then? You’ll still need to show up every single day and put in the work. You’ll also still need time to tinker and play and dream. I’m not looking for a new side hustle. With my first children’s book Grabbling and SPACE Retreats and travel hacking, I’ve got enough. And I don’t need more clarity around my passion or calling. I was put here on this earth to write and change the world with my words. Yet, Overlap delivered many timely reminders and caused me to recommit to some habits on which I had loosened my grip. If you have a 9-to-5 job but want to start something new on the side, then this book is definitely for you. Buy Overlap (affiliate link). Read it cover to cover. Take notes and formulate your plan. Then, show up, and keep showing up. Eventually, your passion will take shape, and your work will become very fulfilling indeed. This may be the old-fashioned way, but it works.